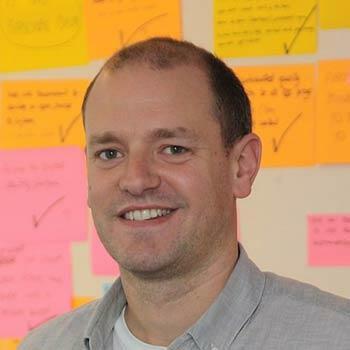 Dominic Tinley is a digital expert and trustee of Reach Volunteering. Are you thinking about becoming a digital trustee? Or perhaps you have you just begun the process? Dominic shares his experience. Why does the charity want a digital trustee? In my case, Reach wanted a trustee with digital expertise to support the board overseeing the major digital redevelopment of the Reach service and website. Others may need someone at Board level to ensure that existing digital operations are performing at optimum level or help develop an entire new strategy to achieve the charity’s objectives. Do your skills meet their needs? Is the charity seeking website experience or is it a long-term strategy for digital communications, customer service experience and business improvements? Do they have a clear idea of what they do want or need? Are you ready for long term commitment? You’ll be taking on a long-term commitment at a board level. Unlike short-term projects you may have taken on as a digital expert, board responsibilities may consume more time than you can give. Boards traditionally meet four to six times a year, but additional time may be required on an ad hoc basis. Do inquire what might be expected. Technology is developing quickly, but many small charities are a few steps behind, so you need the patience to explain technology to others and support them in building their knowledge. As a digital expert you may be used to working on well-funded projects, or in a team environment where there are other specialists to provide support. In a small charity, you will need to be more self sufficient, but this also provides a great opportunity to expand your knowledge. You’ll be learning about all other aspects of running a charity and build your skills in other areas – from fundraising to marketing, from accounting to volunteer recruitment. Unlike short-term projects, this will be an ongoing relationship. It’s important everyone can get along. As a prospective digital trustee it’s important to meet the other board members, to meet the Chair and the Chief Executive Officer. Take your time over this. In joining the board as an observer you can get a feel for the organisation and others can get a feel for you. Do you care about the cause? Are the charity’s objectives those that your feel passionately about? Not only will you have helped the charity become more sustainable, but you will benefit, too, in knowing that you have contributed to a cause you care about. This blog is was first published in October 2017.